Here are top 15 SEO Tips those are most important for Google Search Engine Optimization, which you should consider when building a website as well as while writing a post. Previously we wrote 50 mega SEO tips for the success of your blog, those SEO tips might help you as well. Choose a domain name which contains your desired keywords. Previously, we wrote SEO Tips on choosing Domain names. Your title tag must be present in all pages and posts. Use the SEO -readable URLs, this is very important among these SEO Tips. Faster loading pages means easy crawling. So, speed up your website. Permalink must contain your keyword. The title tag should be no longer than ~70 characters. You must have a meta description for each pages and posts. Use the Robots.txt file very cleverly. For colors and formatting use CSS instead of images. Text links are usually always better for SEO than images with links. Make sure that your website is accessible with and without “www” in the URL and only one should be displayed. Use Social media to promote each and every pages or posts. 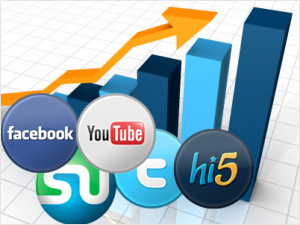 Previously we wrote SEO Tips on how and which social networks works great. The last of this SEO Tips for your posts : Use random posts or related post plugins below every posts, use hyperlinks within all posts to allow visitors to read the older articles. Do not consider this article on SEO tips for your posts as a separate entity; that is the reason we have hyper linked our old articles on SEO Tips. Read these SEO Tips, take a notepad and note down the important points from every post on these SEO Tips which you think either can not understand or need explanation. Later, search this blog to find any post on the SEO Tips you need more explanation. We have integrated Google Custom Search for your easy searching. Mere search with SEO Tips or SEO will give you lot of results. If you need further explanation on any SEO Tips, do not hesitate to write us. This Article Has Been Shared 170 Times! Promotion of an e-commerce website can benefit from strategies of marketing.Search Engine Optimization, PPC like AdWords and Social media are three broad parts. What is the best practice to deal with pagging (like blog posts split by pages)? Google Webmaster tools claims on duplicated description and keywords. Depends on the website (rate of crawling, number of posts, number of tags, categories etc), how it can be corrected perfectly. Cite this article as: Abhishek Ghosh, "SEO tips for your blog’s page or post : Our top 15 picks," in The Customize Windows, June 27, 2011, April 18, 2019, https://thecustomizewindows.com/2011/06/seo-tips-for-your-blogs-page-or-post-our-top-15-picks/.